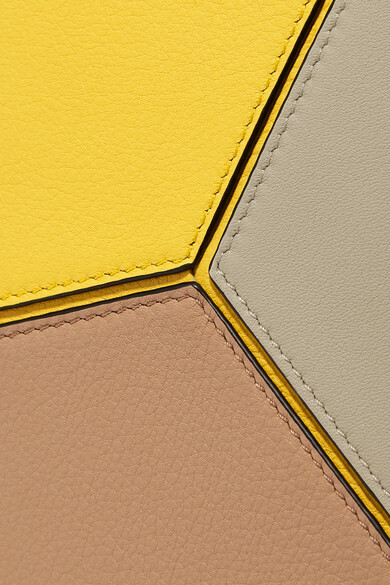 Loewe's 'Puzzle' pouch has an eye-catching yellow panel that really pops against the other neutral hues. 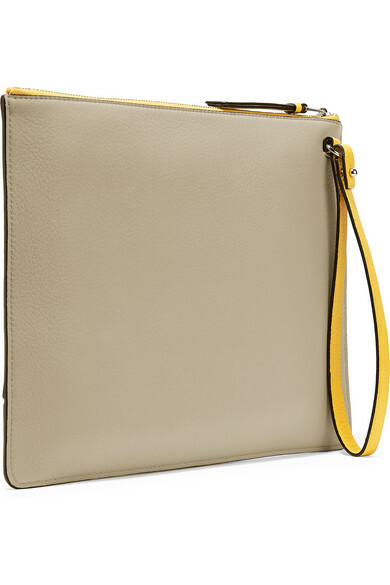 Crafted from supple textured-leather in the brand's Madrid workshop, it has a canvas-lined interior with organized slots for easy access to cards and other belongings. 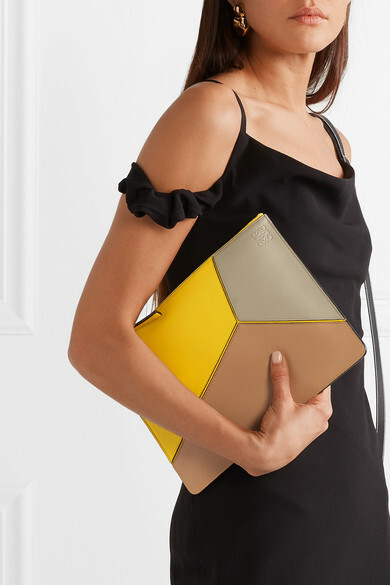 Though it's designed in a flat, envelope-style silhouette, it's large enough to fit more than just the essentials. Shown here with: Loewe Dress, Mounser Earrings.